Toronto-based Gus* Modern has reinvented faux bois to fit in the most modern of homes. 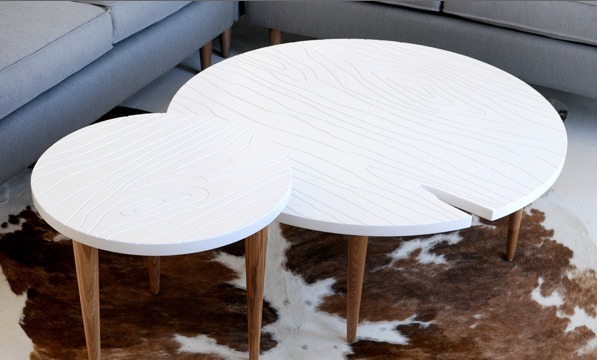 The Root Coffee Table offers functionality with crisp graphic woodgrain lines. Add to that the FSC-certified ash legs and you have one stylish and sustainable cocktail table.